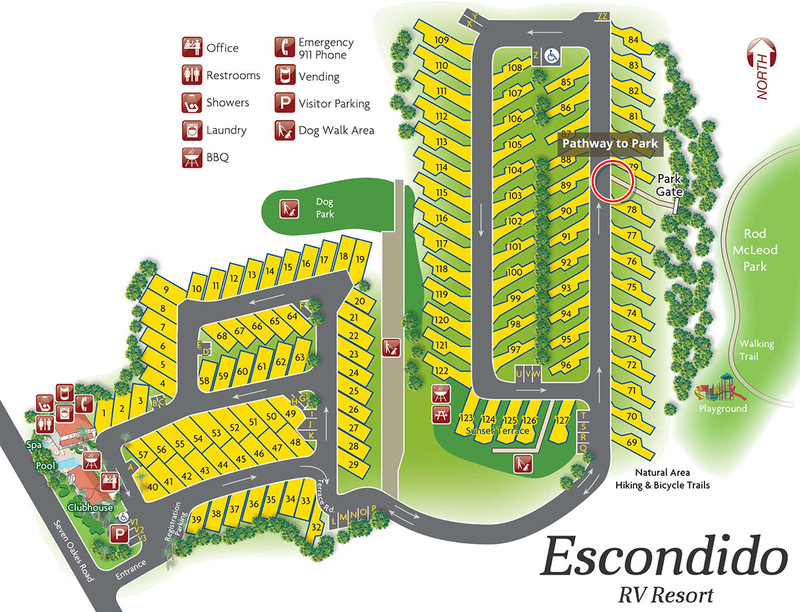 Offering fantastic views of Escondido and the resort, beautiful Rod McLeod Park is accessible with a key code through a gated entry on the terrace level of the resort. 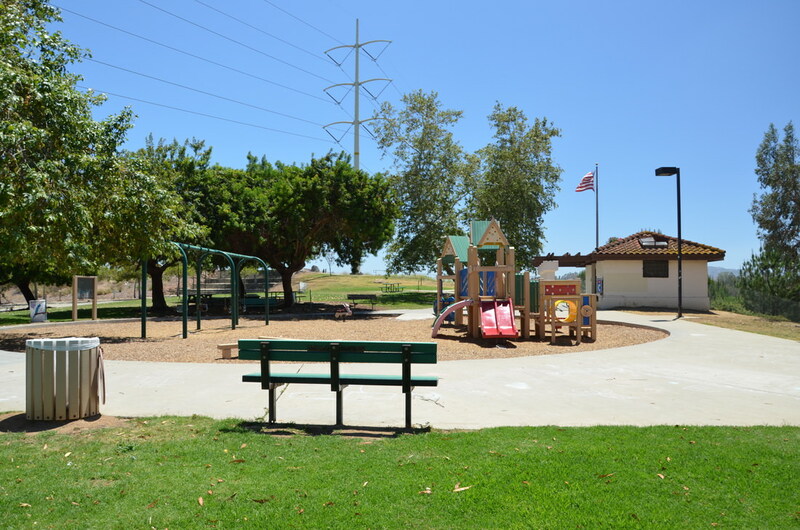 The park was named after the late Palomar Hospital Administrator. 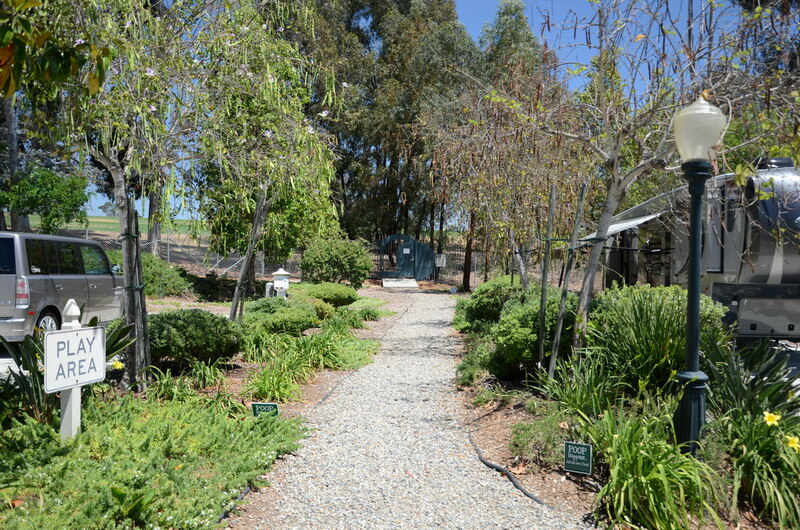 Rod McLeod was known for his outstanding contributions and service to the community. 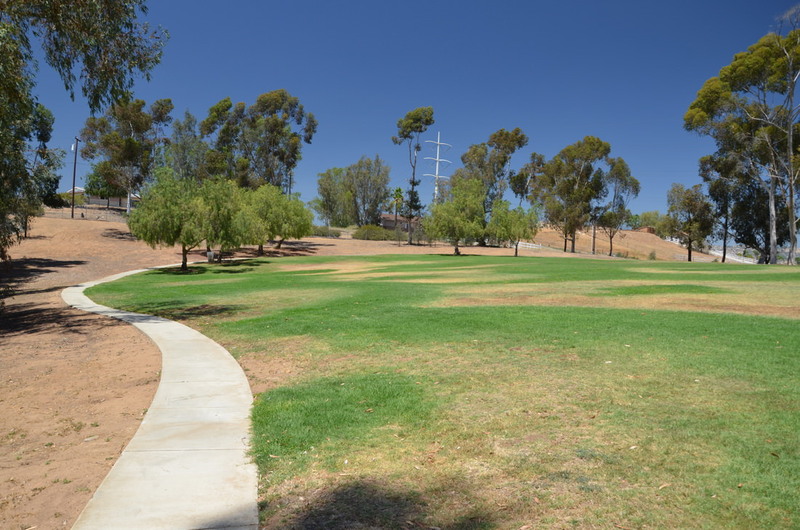 Dogs are allowed in the park on a leash. 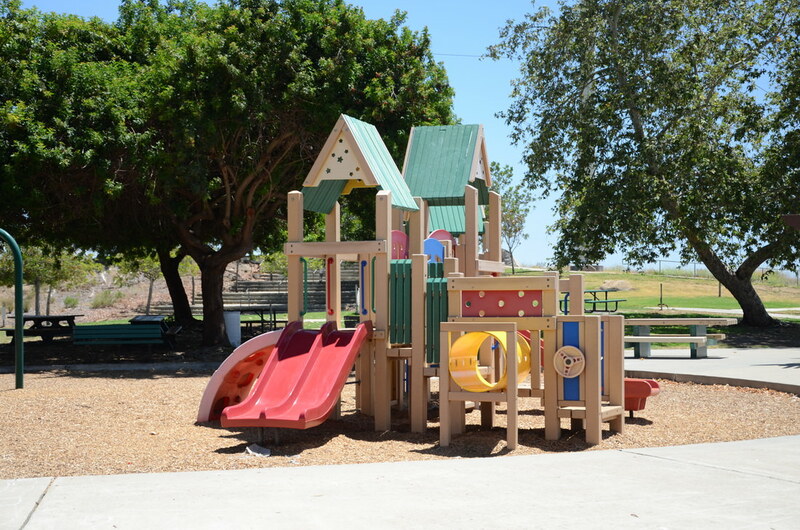 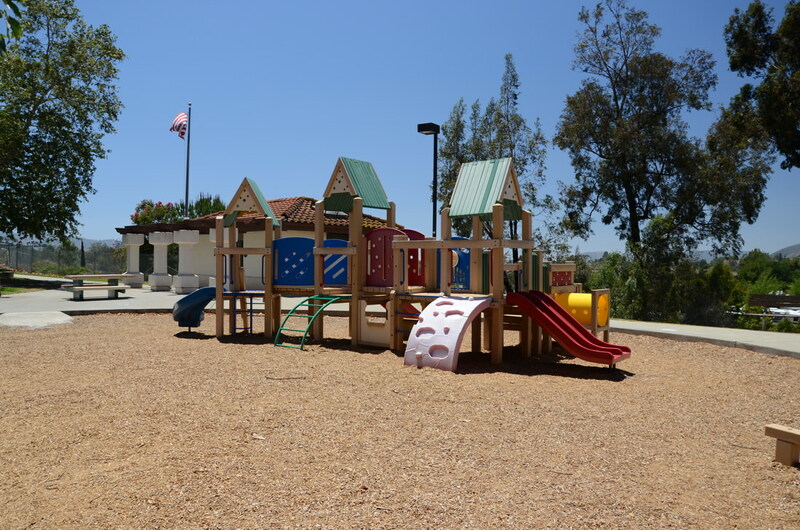 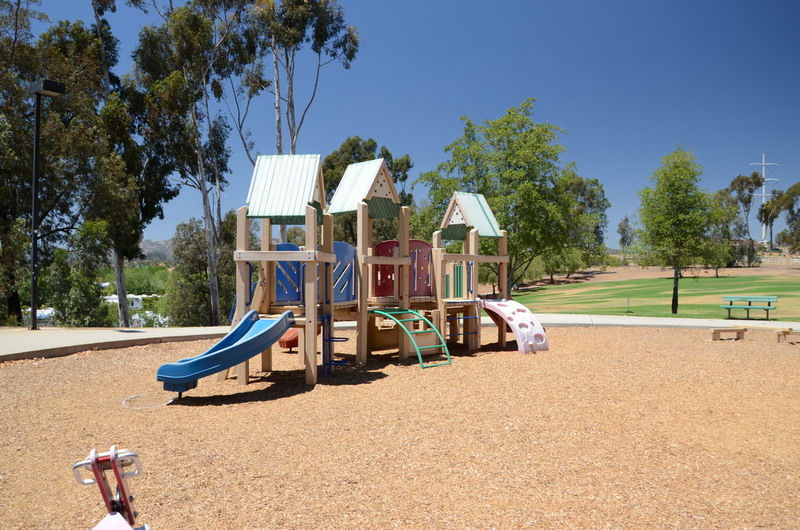 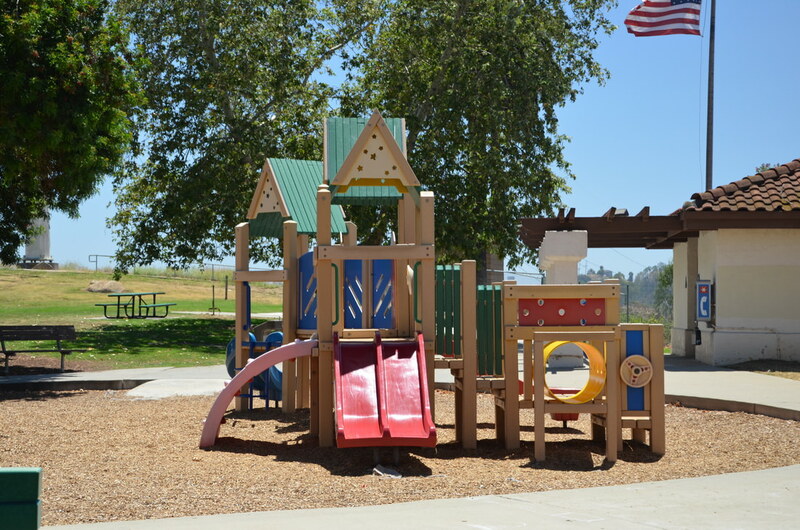 Enjoy 18 developed acres, restrooms, picnic tables with a barbecue area, and a playground with tot lot. 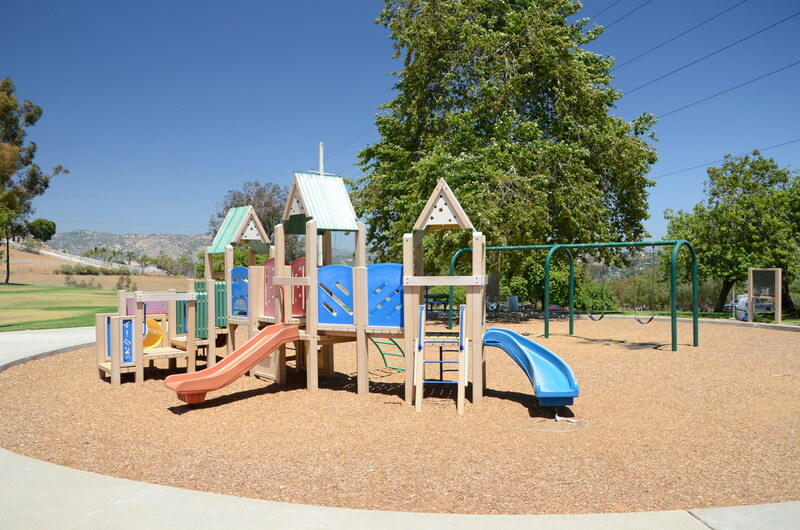 The park is open from sunrise to sunset.